Thao, however, asserted that the withdrawal leaves no adverse impact on the construction progress of the theme park costing about US$2 billion. Thao said Joseph had only signed a memorandum of understanding (MOU) with Khang Thong last year to facilitate the development of a five-star hotel with 1,000 rooms among 150 work items of the scheme. Under the MOU, Joseph was only entrusted as the consultant to help Khang Thong call for foreign investors to get involved in the hotel construction. In over one year, Joseph has introduced two interested American investors to Khang Thong but the group rejected these investors due to their unsuitable conditions, Thao stated. Meanwhile, three other investors from South Korea, Japan and Sweden have shown keen interest in investing in hotels. Therefore, Joseph’s declaration that he will not take part in the project will have no negative effects on the whole scheme in terms of financial capability and construction progress, Thao said. 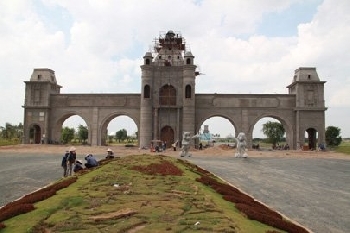 According to Thao, despite the current global and local economic woes, construction of the Happyland project which was started in February has still gone well, with the Vietnam culture area covering 50 hectares there set to be operational by the Tet holiday next February. As the project owner of Happyland, Khang Thong also calls for other foreign investors to develop many different components in the complex. The group has attracted over ten investors with strong financial capability to join the scheme. With a designed capacity of welcoming some 14 million guests annually, the complex will be developed on 338 hectares in the first phase and on another 350 hectares in the second phase and is set for operation in April 2014. Meanwhile, in an email sent to the Daily, the office of Joseph Walter Jackson affirmed that he had withdrawn from the Happyland scheme in Vietnam. Jackson also clarified that he only was a promoter of the project as committed with the developer, not a direct investor. Jackson said chairwoman Thao of Khang Thong previously planned to construct a Michael Jackson Memorabilia featuring his very private belongings in Happlyland. But the group has yet to pay Jackson so far, prompting him to pull out of the project. Thao of Khang Thong denied the information. She said she only made an agreement with Jackson to purchase an old car of Michael Jackson in Germany but she finally failed to do so because of tough import procedures at home.